Suppose you have been injured as a result of someone else’s negligence. You have contacted an attorney, and the investigation and discovery phase of the case is currently ongoing. You may believe that from here, it will be smooth sailing, and your attorney will be able to handle your case as you go about business as usual. While this is true to an extent, there is one hidden danger you may not be aware of: social media. When you are involved in a personal injury case, it is common to hear your attorney tell you to avoid speaking to anyone about the matters of the case unless it is absolutely necessary. 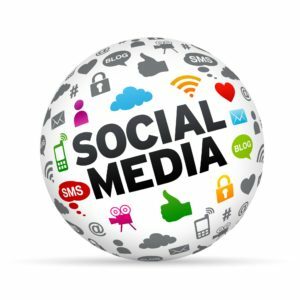 Typically, anything you say and do will be misused by the defense to attempt to thwart your case, however, the importance of your social media presence is seldom discussed. This topic cannot be stressed enough. In today’s technologically advanced world, the defense has an array of tools at their disposal to poke holes in your case. If you have a social media profile, the defense may try to use this to their advantage. Pictures, videos, and even simple text posts can all be taken out of context and misused entirely by the defense the same way public statements can be. If you are involved in a personal injury case, and you make regular use of a social media presence, follow these tips below. Temporarily Deactivate Your Profile: Many social media networks allow users to perform a temporary deactivation that does not permanently delete the data, but instead takes the account off the internet for a short while. Without any social media presence to pry information from, the defense will be unable to try to thwart your case this way. Update Your Privacy Settings: If you choose to continue to have an active social media presence, you may want to consider revamping the privacy settings you have in place for your profile. Most social networks offer a private mode that is not available to people who you don’t want to view it. This is a great alternative to full account deactivation. Avoid Getting “Tagged” Online: A common social networking practice is to tag others in posts, pictures, or even at locations. While this is great for keeping track of friends and family’s activities, you don’t want to be recovering from a broken arm and get “tagged” at a bowling alley. The defense will use that against you. Avoid Posting Pictures Of Recovery: When you are injured, you may want to document your recovery. While this is important for medical and personal reasons, avoid posting the results online. Avoid Posting Anything About The Case Online: Always remember to only discuss matters of the case strictly with your attorney, and to avoid making public statements! This counts for any posts you make online as well. If you or a loved one has been injured by someone else’s negligence, contact Tenn And Tenn, P.A. for a consultation with a skilled and experienced New Hampshire personal injury attorney. Don’t hesitate to get the compensation you deserve.